For fans of Comedy Central's Broad City, it's been six long months since Abbi Jacobson and Ilana Glazer debuted a hilarious Inauguration video, where they feared for the worst as Donald Trump was elected into office as the 45th President of the United States. Today we have the first trailer for Broad City Season 4, and, as you'd expect, the ladies take one jab at the current POTUS in this video, while teasing an outrageous season with a few prominent new guest stars. Like the first three seasons before it, Broad City Season 4 will span 10 episodes. Broad City returns with a new season on Comedy Central that finds Abbi and Ilana experiencing New York City in a whole new way: in the dead of winter. In Season 4 Abbi and Ilana get new jobs, celebrate their Friendiversary, receive a visit from Abbi's mom, trip on mushrooms, discover their witchdom, and travel to Florida. Broad City offers an odd couple comedy about two best friends navigating their twenties in New York City whose adventures always lead down unexpected and outlandish paths. They're broke, flawed and don't shy away from the sticky situations NYC throws at them, they dive right into the muck. But no matter how bad it gets, these young broads are always down with whatever hits them. 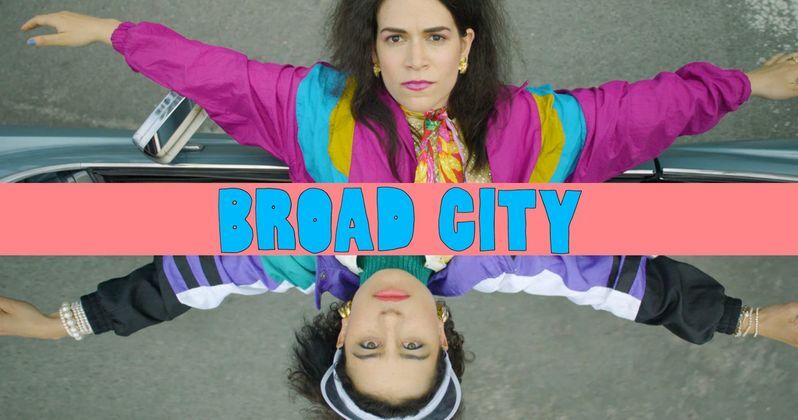 Broad City was created by Abbi Jacobson and Ilana Glazer, who executive produce along with Paper Kite Productions' Amy Poehler and Brooke Posch, 3 Arts' Dave Becky and Jax Media's Tony Hernandez and Lilly Burns. The show is co-executive produced by Eric Slovin, Lucia Aniello and Paul Downs. Joining Jacobson and Glazer as series regulars are Hannibal Buress, Arturo Castro, Paul Downs, John Gemberling and Chris Gethard. The trailer also reveals that there will be a number of prominent guest stars this season, such as Steve Buscemi, Wanda Sykes, RuPaul and Jane Curtin. Comedy Central has already renewed Broad City for Season 5, which will most likely air at some point in 2018. Series star Ilanna Glazer will be hitting the big screen this summer alongside her Broad City co-star Paul Downs for the Sony Pictures comedy Rough Night, which marks the feature directing debut of Broad City executive producer Lucia Aniello, who also co-wrote the script with Paul Downs. While this comedy series seems just as outrageous as seasons past, by the looks of this trailer, there will be one big change for the show this season, although it doesn't have anything to do with the cast or the story. When Comedy Central announced their summer lineup last month, they revealed that the Broad City Season 4 premiere will air Wednesday, August 23 at 10:30 PM, directly following the Season 21 premiere of the iconic animated series South Park. While the show has typically aired in the Wednesday 10:30 PM time slot, this marks the first time it will follow South Park, so it will be interesting to see if the ratings go up in Season 4. Take a look at the first Broad City Season 4 trailer below.